How to do short-term missions effectively. A picture of a child is all it takes for me to want to go, how about you? What does it take to make you want to go and help? What does it take to make you want to open your wallet and make a donation? What motivates you to want to change someone else’s circumstances? Often it makes us feel better. There is that good feeling you get when you help, when someone says “thank you”, when someone says “way to go, good job”. We are only human and there is nothing wrong with doing something because it just feels like the right thing to do. An important question to ask though is “how effective was my help?”, “how much did it really change things?”. A huge part of short-term missions is seeking to see lasting change. Sometimes it’s the medical professional who was there at just the right time with just the right knowledge and experience and equipment to save someone’s life. We have many amazing stories of life-changing things that have happened when our teams were there just when someone needed them. I have seen it many times in my years of working in medical missions and it never gets old. It never ceases to be humbling or to produce awe-filled tears of thankfulness and blessing. I think what I have learned the most over the years about how short-term missions can have a lasting effect is in the relationships. It’s in that South American village where the people know your organization’s name because you come back every year. 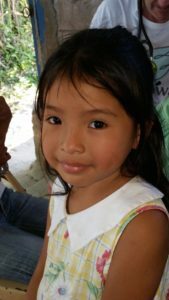 It is in the story from our contact on the ground who tells of how our team being there and our organization providing the funds has made a difference in someone’s life and in the life of their family. It’s when you go back to the clinic in Haiti and see people from the community show up to help clean and carry and fix to make things ready for clinic day. Whether we are there to provide medical care, construct a building, share knowledge and educate…what matters most and what provides the most effective change is the relationships. If you choose to help, I promise it will only hurt at the beginning and at the end. The beginning because it’s awkward and difficult, the end because you will be leaving something valuable behind: a friend. With a degree in Systems Design Engineering and an MBA from the University of Windsor, and having worked in the energy industry for over 30 years, John brings a wealth of knowledge to the organization, especially in developing projects and organizing EMI’s future plans. In addition, he brings program hands-on experience from working with Habitat for Humanity, camping board of directors and overseas projects. Ken is a lifetime member of the Canadian Institute of Chartered Accountants. His contribution to EMI comes from over 40 years of working in the charitable field, with World Vision and as the CEO of other relief and development agencies. His many travels overseas, leading medical and construction teams has given him experience that is invaluable to EMI. His knowledge of the Canadian charity field has been gained through involvement for over 30 years on the board of the Canadian Council of Christian Charities. After many years of managing a family and raising children, Sandy used her bookkeeping skills to find employment as Office Manager and accountant for a Canadian charity, and has been available to assist other charities in performing bookkeeping and administrative services as a consultant. While living In Haiti as a missionary with a relief and development mission, she was involved in rescue and medical support activities during the devastating earthquake in January 2010. She has also participated in overseas medical missions. Although retired from teaching, Anne is still passionate about helping children. She has volunteered in medical missions in Central America and contributes her time periodically to assisting school children in Mexico. She is presently a volunteer with an agency ministering to women in prison. Having spent 18 years in law enforcement specializing in criminal interdiction and dignitary protection, Laurens continues to be employed in that field. He brings to EMI several year of mission experience in Haiti where he served in giving leadership to Site Logistics and as Operation Manage for an international NGO. He, along with his family experienced the 2010 Haiti earthquake and were greatly involved in the rescue efforts. Diane has had several years working with several Canadian social agencies which are focused on assisting those in need of both spiritual and temporal needs at home and abroad. She brings to EMI formal training in volunteer management, marketing and political science. We value her experience in managing overseas relief and development programs and the coordination of overseas group travel, which included personal travel to projects overseas. In addition, Diane has trained and been active within the financial planning field. Since completing her medical training at McMaster and Queen’s University Dr. Francine McCourt has practiced in a variety of settings including Northern Ontario, Youth Health Centres, Family Practice and currently works as a Hospitalist at Oakville Trafalgar Memorial Hospital. She is a wife and a mother of two children. 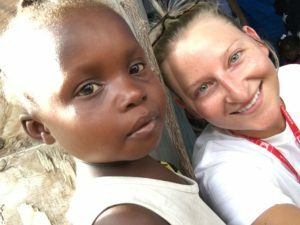 Since her first trip to Haiti in the fall of 2017, Francine is keen to explore serving that community further. Her first experience rekindled her passion to help others with love, compassion and without judgment to the best of her abilities. Dr. Greg Jeffries graduated from the University of Toronto and completed his residency in Family Medicine at McMaster University. He is currently a Staff Hospitalist and Surgical Assistant in the Department of Family Medicine at Oakville Trafalgar Memorial Hospital. He serves as a member of many committees in the Halton Healthcare system. He did his first medical mission to Guatemala in 2016 providing medical assessment and treatment to children, adults and seniors in rural communities. The experience left him with a sense of gratitude for his life in Canada and a motivation to become more involved in the work of EMI. Download copies of EMI’s Policies.